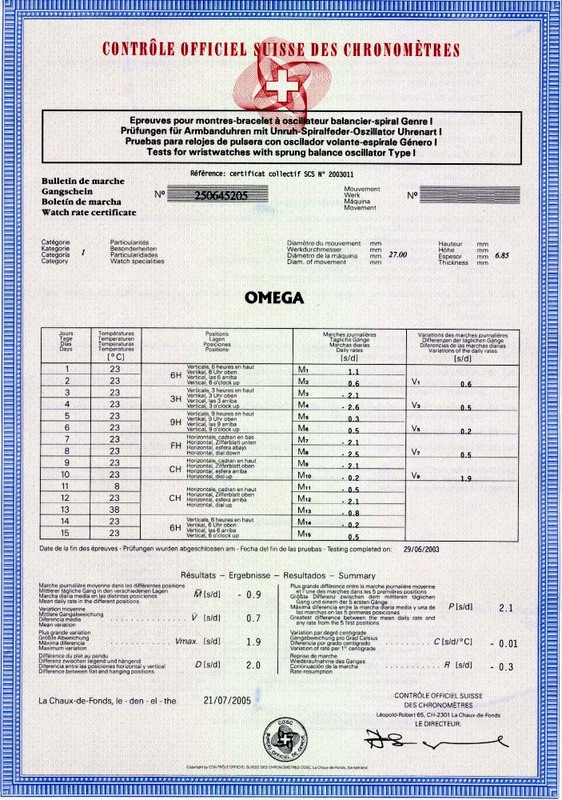 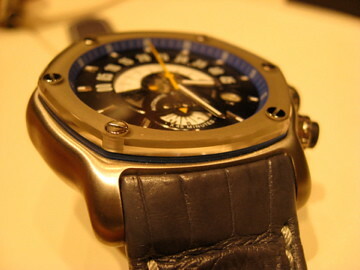 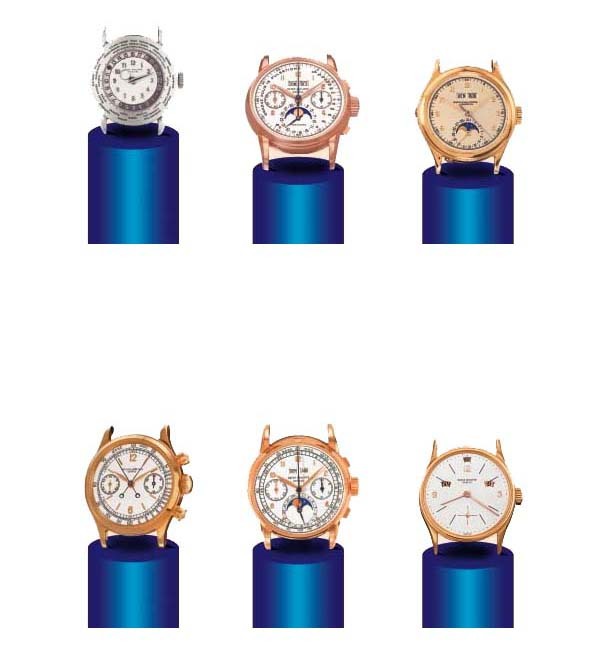 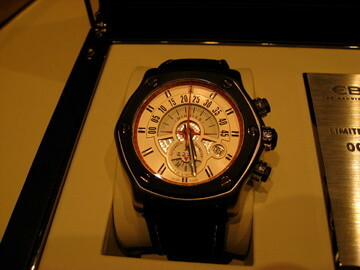 Ebel Real Madrid Tekton (Bezel is made of sapphire glass, instead or rubber). 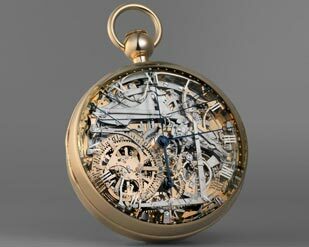 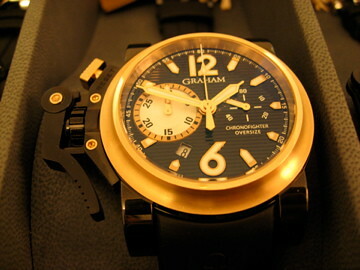 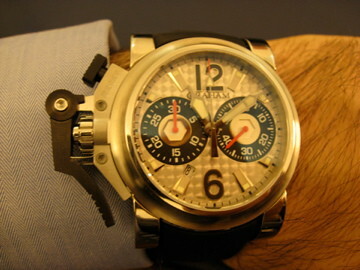 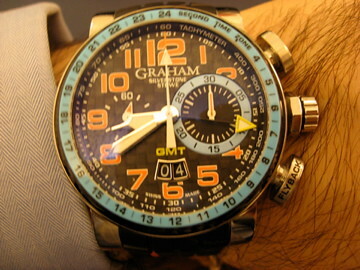 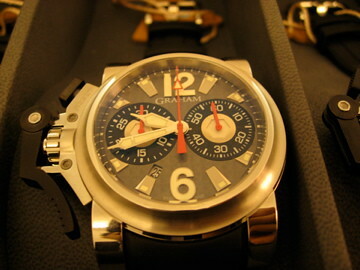 What do you think of the infamous ChronoFighter models by Graham? 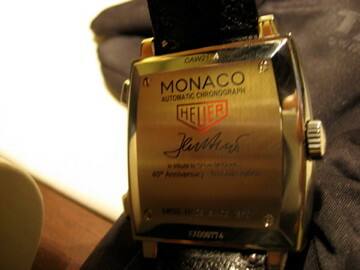 A replica of the first Monaco, they kept it as close as possible to the original ‘Heuer Monaco 1969’. 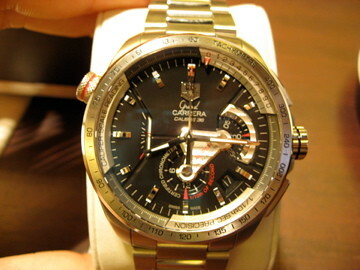 What I really liked is that they used the old Heuer logo and not the most recent TAG Heuer logo on the dial, case back and folding clasp. 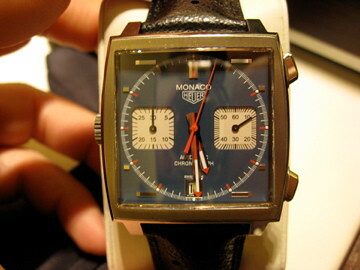 Back-side of Heuer Monaco 1969 re-edition (original calibre 11). 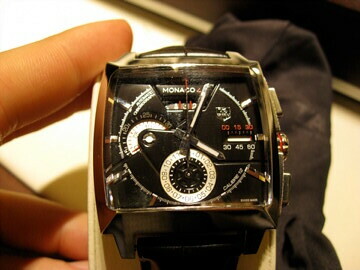 Modern interpetation of the TAG Heuer Monaco, available from summer 2009! 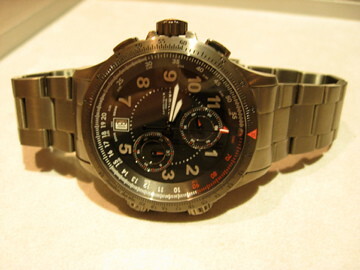 New Hamilton ETO in unique colour: GunGrey! 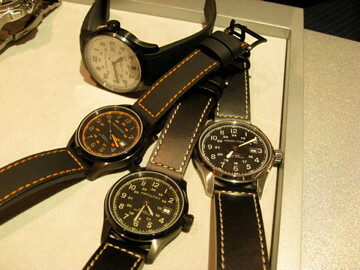 New Hamilton strap: Leather or rubber? 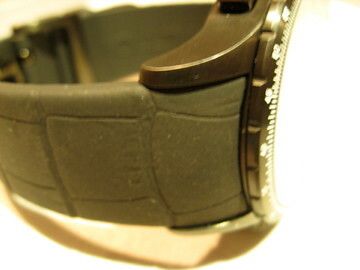 Yes… It is a rubber strap with a alligator print! 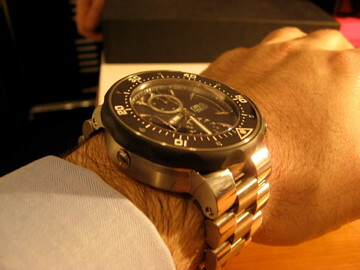 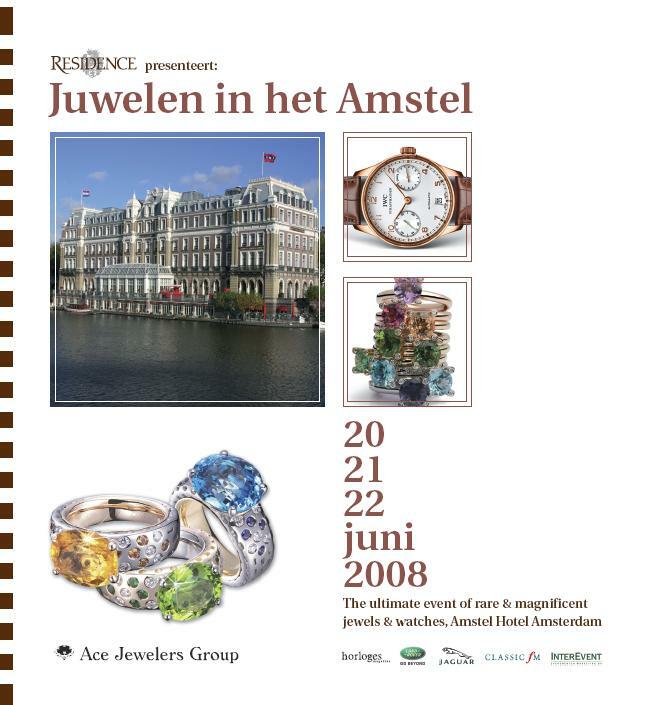 Cool, no?! 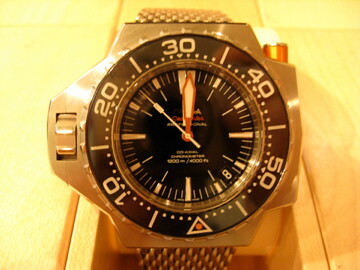 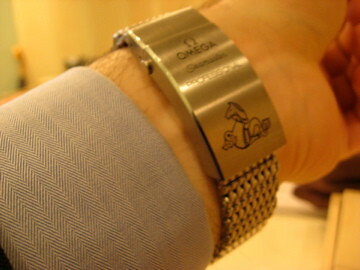 Omega Seamaster PloProf on my wrist (sorry for the blurry image). 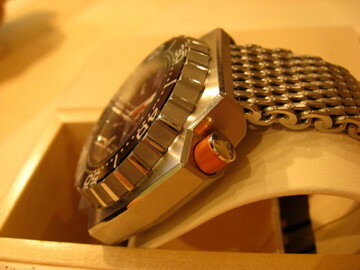 With a matching folding clasp! 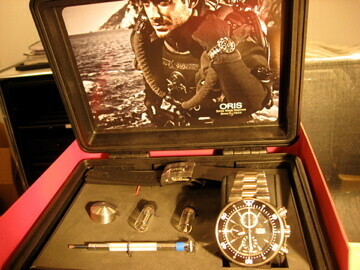 Oris Diver 2009: You have to lift the outer bezel vertically and only then can you spin the CERAMIC diving bezel. 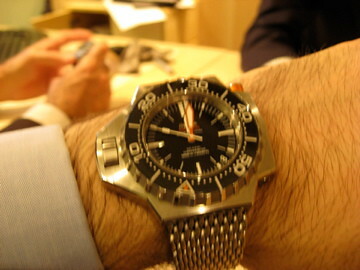 The chrono is 100 bar waterproof.